Given the privacy protection and digital rights management system, it has become impossible to download music for free. The only solution that a user receives is purchasing music officially. However, a few applications allow downloading music to Windows Media player without charging a single dime. Let as we look into the matter more deeply. The following is the list of top 10 websites or channels that will give you the ability to download music to Windows Media Player. Audio Archive is one of the best sites to download songs to Windows Media player. It contains thousands of songs, old-time radio shows, poetry readings, original music uploaded by users, concerts, and more. Interestingly, the website also offers some collection of different items related to community audio, audiobooks and poetry, computers and technology, music and arts, music archive, news and public affairs, radio programs, English audio, spirituality, and religion. On this website, users have the possibility to download thousands of songs to their Windows media player without paying a single cent. It has an extensive collection of over 135800 MP3s and 900000+ lyrics. It even holds charts of newly released songs relate to different countries such as Denmark, Europe, Finland, Japan, Sweden, Canada, etc. and top 20 world songs. It is yet another website that gives the opportunity to download songs, MP3s, audios, and albums for free to Windows media player. It even holds music charts of different categories and different countries. 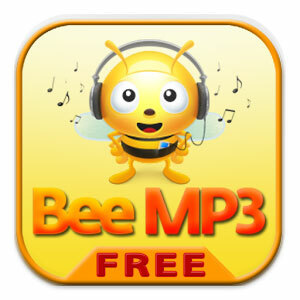 It is an awesome website because of the collection of the MP3s it holds in its database. Due to this, users have the possibility to download free music to Windows media player and listen to the songs at their convenience. It has all the latest songs from different parts of the globe. 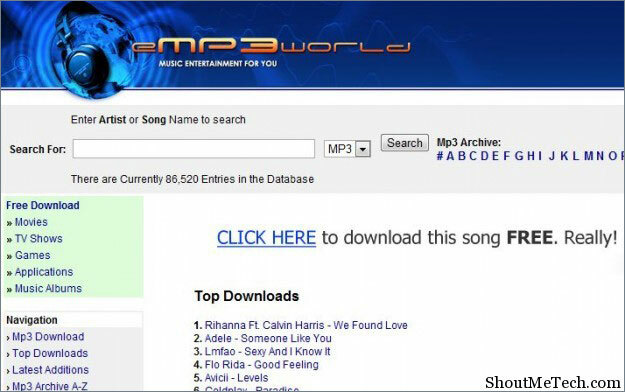 It is a unique website to download songs, as it provides the visitor the possibility to edit the site contents. 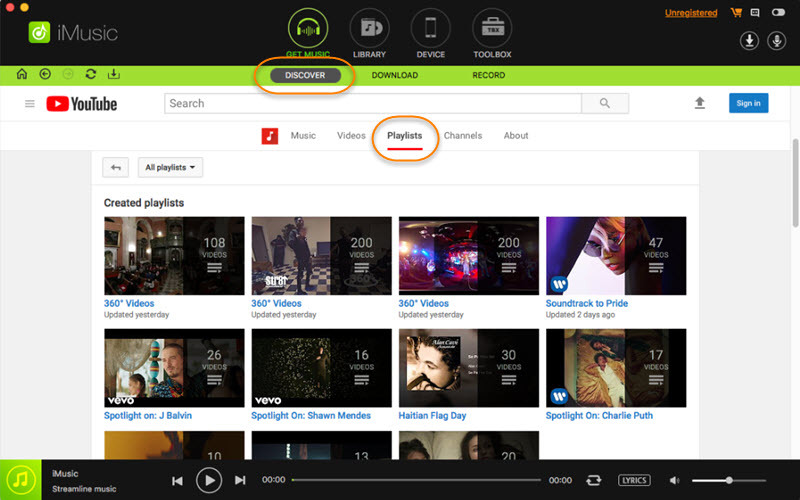 Due to this, users gain the possibility to upload and add songs to the existing database. The website providers also ensure that all the broken links are working and replace with new ones promptly. It is another amazing site through which you can download all your favorite songs to Windows Media player. Apart from the older collection, you will also find over hundreds of the latest songs by all the leading artists from different parts of the globe. 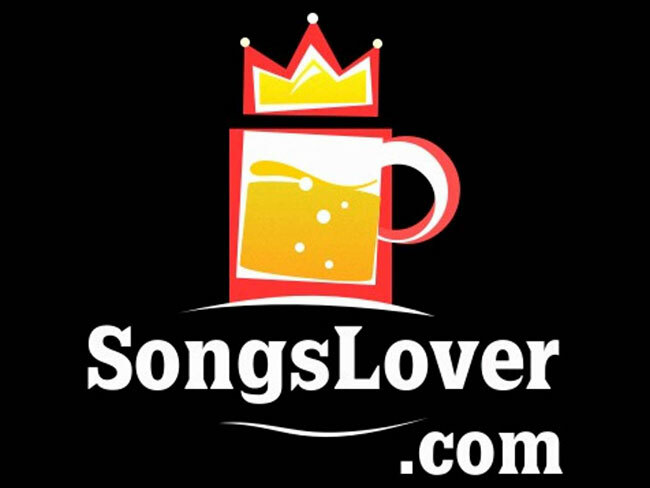 Songspk.name is an excellent website to download free songs belonging to the Indian subcontinent. 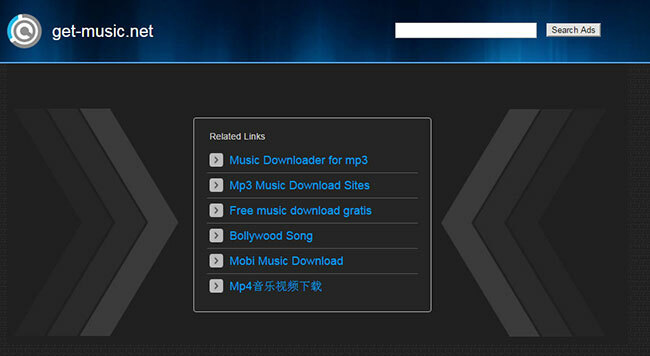 The website holds single tracks, movie tracks, Indian pop songs, compilations, and revival songs. You can also search for English songs on this website using an artist’s name. If you are in search for personalized recommendations and English songs, last.fm is the website. You can discover all the latest songs from all the leading artists apart from retro collections. 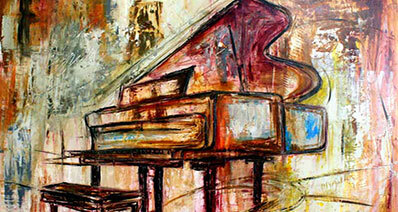 The collection has classic rock, instrumental, pop, and much more. The website, songslover.pk, is a fantastic site where you can download all the latest songs and MP3s. Apart from audio songs, you also have the possibility to download video songs. It also gives you the glimpse of the upcoming albums belonging to different artists. Jamendo is a fabulous website where you can download free songs in MP3 and OGG format for free. In addition to the database, it even holds the information of singer and news related to the artist. Music is the best medicine through which you can relieve stress. If you are rummaging for websites that give you a free download, then you will be wasting plenty of time. 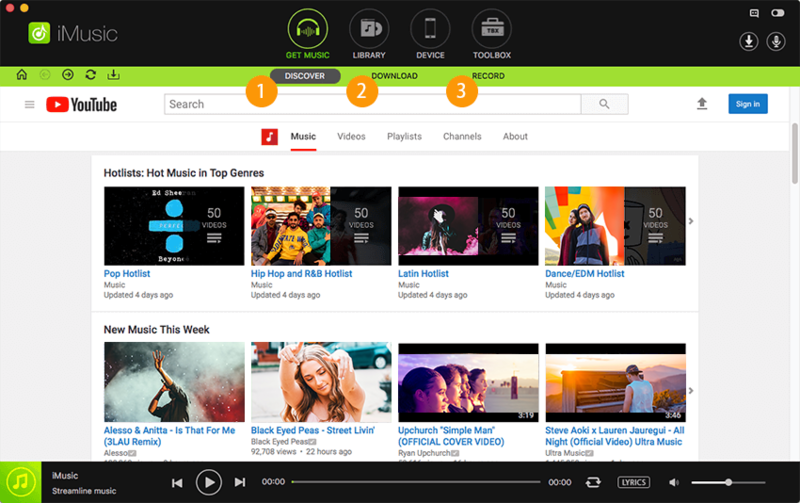 However, with the help of iMusic, you can quickly download all your favorite music from over 3000+ websites that also include YouTube, Facebook, Vimeo, and other leading media sites. An interesting part of the application is its ability to provide the user with the built-in library through which they can discover music and download freely. The library has most famous artists, hottest playlists, and genres. 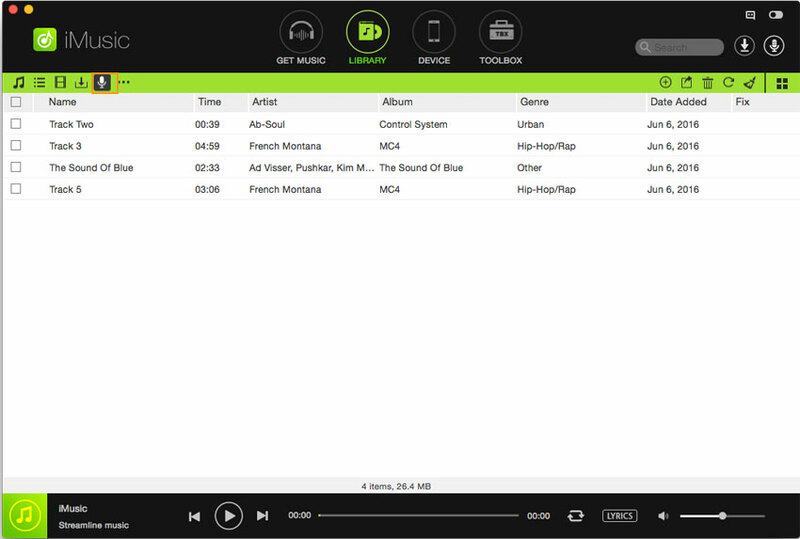 Apart from listening to music, the application is an all in one music manager that gives you the chance to download songs to Windows Media Player with ease. Step 1: Install iMusic trial version for Windows. Launch the software, and choose “Get Music” option from the menu bar. In the same window, click Discover button. 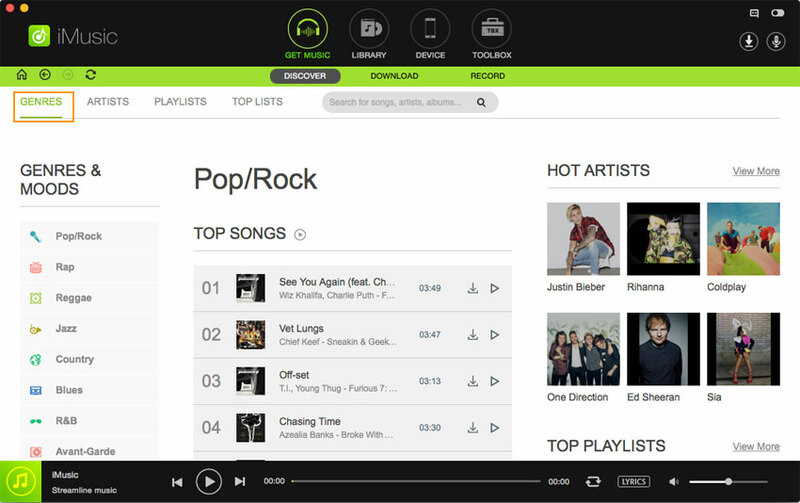 Step 2: You can discover songs according to Genres, Artists, Playlists, and Top lists. You can click the provided options as shown in the window below to search for your favorite song and download the same. 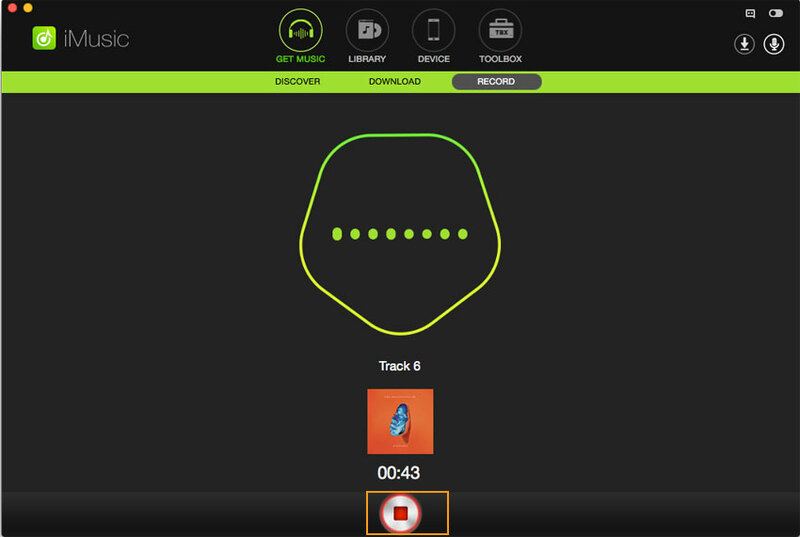 Step 3: You have the chance to opt for the search box provided within the product window to find a song or artist directly. 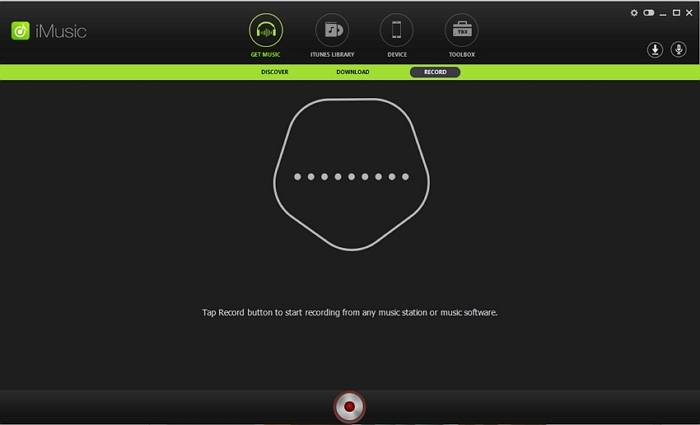 In the product window, you can select the output as MP3 and press the download button to save it to your computer. Step 1: From the main product window off iMusic, click Download button as shown in the figure below. Step 2: As you can see, the application provides a direct link to the most prominent websites from within the software. You can click the particular internet site, or open the site in a browser, search for your favorite song, copy the link, and paste it in the box provided within the product window. 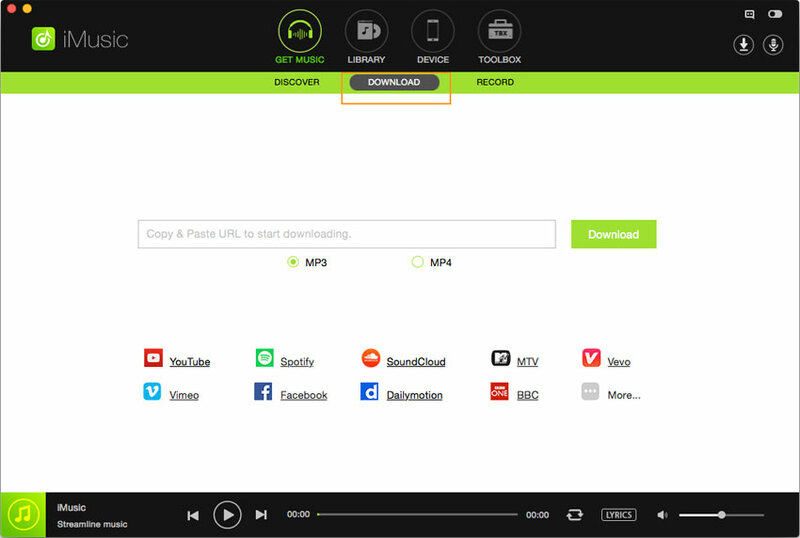 You can then choose MP3 as the option and press the download button. 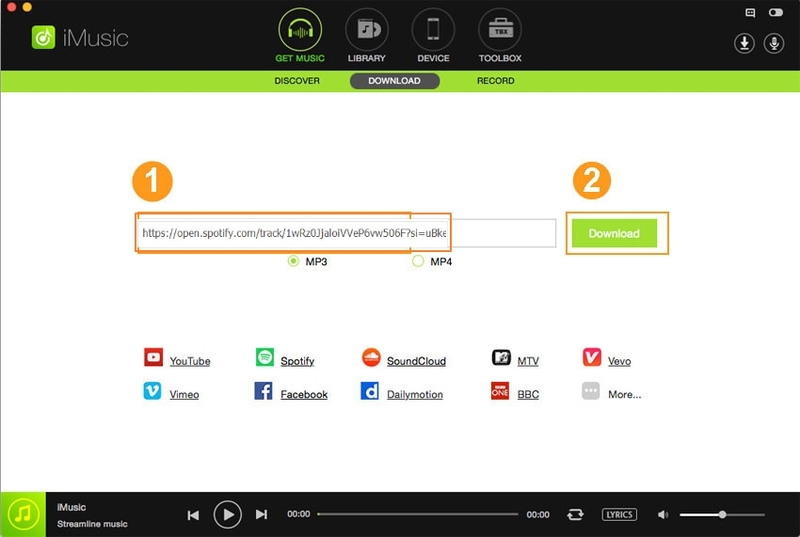 Step 1: If you are unable to find a song that you can download to your computer but have found a website that streams it online, then you have the opportunity to record the same and save it as MP3. 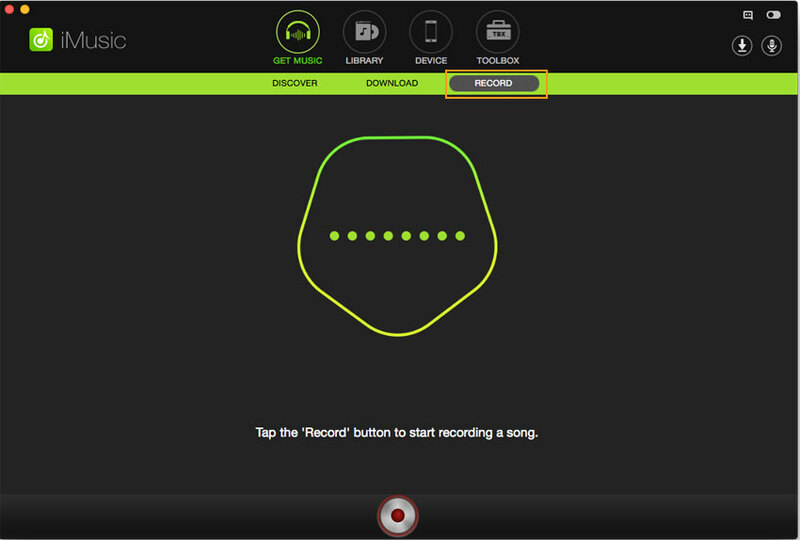 From the main product window of iMusic, choose “Record” option. Step 2: Click the record button. Open the website, and begin to play the song. The application will detect it automatically and record. 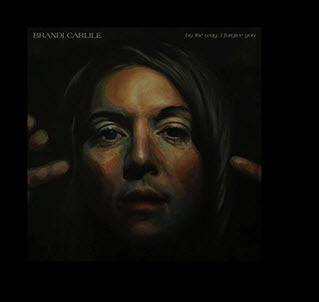 During this process, it will look for the album cover and artist information and add them to the song in the background. Step 3: After downloading and recording songs using iMusic, you will find them in the library section that you can access from the main product window. From the list, you can choose the songs that you wish to add them to your Windows media player playlist. Additionally, you can also transfer them to any external device.